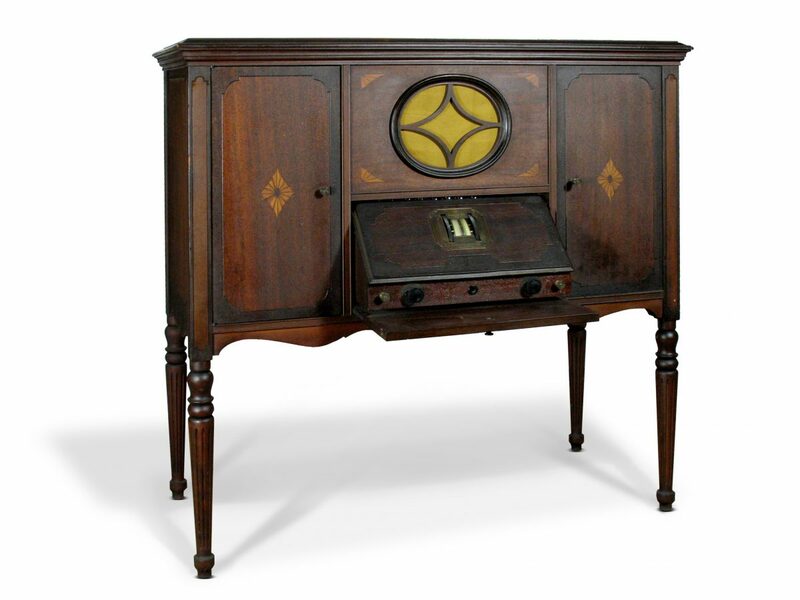 Prior to 1925, virtually all radio receivers operated from batteries. The invention of the A.C. rectifier tube made “plug in” radios possible and this one one of the first. RCA RADIOLA 30, Model NS-30-1. Signed “Radio Corporation of America 233 Broadway, New York City” American, c. 1925.